• To start with, contrary to what most of us think, all clouds are not equal and a cloud may either be deployed in a state-of-the-art data center monitored by experts or it could be set up using limited hardware and freeware in a basement. So, when you run a business which demands high security, it is important to choose a provider carefully so that you do not have to deal with breaches or fix bugs. • Secondly, all cloud hosting solutions will not be managed. So, you need to find out beforehand whether the provider will offer managed hosting or not. Without managed hosting, you may not get regular backups and efficient monitoring; as a result, costs are likely to shoot up. • Clouds are also not always as transparent as we think them to be. Cloud hosting plans may appear to be cheap at first sight but the complexities tend to surface when the demands increase. In such a situation, management, monitoring and backups become complicated and the prices for these will escalate. So, you need to review your needs now and how these are likely to evolve with time. In short, you should plan for the future and then decide on cloud hosting plans accordingly. • Clouds are also likely to become more local with government laws becoming stricter and demands for data privacy growing. This development will make businesses move their data and applications from other places back to their native lands. • Moreover, not all cloud vendors will be able to offer you the type of security you want. While cloud security is expected to be better than the security measures deployed by medium or large enterprises on their premises, vendors often overlook internal security threats. This is why you need to find out about firewalls and other security set-ups which your vendor offers and the methods they use to avoid breaches. Regardless of how advanced the security systems are in a data center, there must be a continuous monitoring system for ensuring that all threats can be detected in advance and resolved before they lead to downtimes. • You must try to find out exactly what is meant by availability and the Tier classifications. For instance, the Tier III data center delivers 99.998% uptime and when you run a business, it is unwise to expect any data center to guarantee 100% uptime. At the same time, in case your business demands such a high uptime, you should maintain multiple data centers across the globe. • Another thing that most of tend to overlook is the support factor; not all cloud vendors will be able to give you round-the-clock support. You should find out whether they have a help desk or whether it is only support through chats and emails. You need to inquire whether they track issues proactively or you have to report issues to them, and whether they have the capacity to resolve problems across different platforms. • It is interesting to know that changing a cloud vendor may not be as easy as you think. This is particularly difficult when the data volume is vast. For instance, you may not have root access in a SaaS model. So, all vendors should agree upon a rule to make this transition easy. • Another thing client enterprises may be ignorant about is whether they can shift the licenses that they are using on their on-site infrastructure to the clouds. You must understand that all vendors do not permit such licensing mobility. • Finally, clouds are definitely not new; the concept existed as many as forty years back. Now, connectivity is much cheaper and reliable which has been responsible for the adoption of cloud computing technology far and wide. 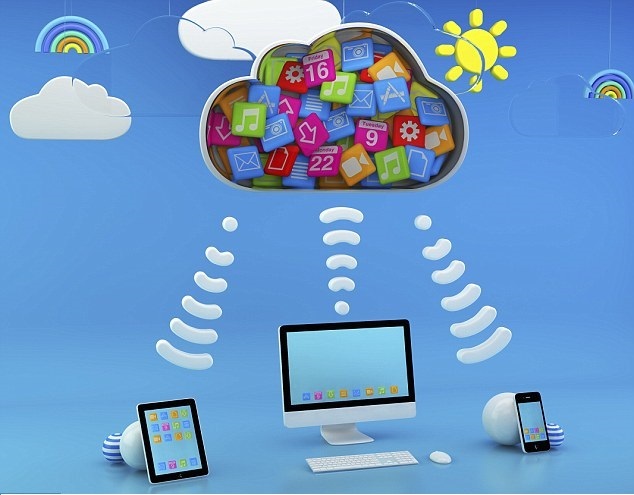 Today, you are using the cloud in every aspect of your life, whether it is the iCloud or the iPhone syncing feature. These are some interesting lesser-known facts about cloud server hosting which we need to be informed about. Today, the cloud is playing a crucial role in exposing social problems and also offering life-saving information for the benefit of humanity. To analyze the cloud, you do not have to be data scientists; you can get health statistics and government datasets or any kind of information online for free.